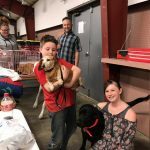 Reno county emergency management initially activated animal response through the Reno county liaison (RL), of the South Central Regional Animal Response Team, to provide shelter and care for the displaced pets of Hutchinson residents in the Reno county wildfire evacuation area. Through emergency management, the RL requested additional support from the full regional team. Regional volunteers where then notified. 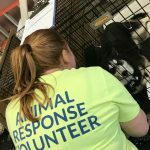 Eight volunteers worked with several Hutchinson Animal Shelter staff to temporarily shelter pets at the Hutchinson fairgrounds. Shelter setup began about 8:00pm Monday, March 6 and was demobilized about 3:30pm Wednesday March 8th. 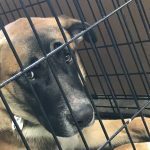 A few pets were transferred to the Hutchinson Animal Shelter to continue boarding until their owners were able to take them home. 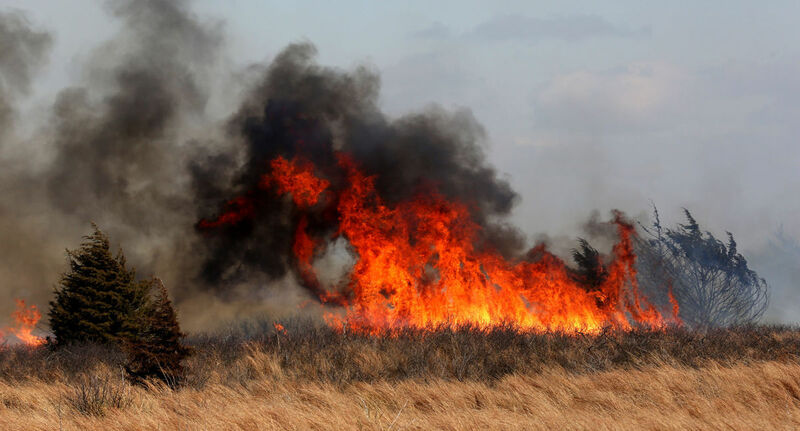 Click here for media reports on the Reno county fires. The updates below were shared with volunteers in the south central region who deployed, who replied to the call out with availability and to the KS SART board. Both communications were sent via email and offer only animal response deployment details. Thank you again for your availability and for following the process to provide those details. There will be a hot wash to review what worked, what needs to be improved, etc. Thanks to Stacy Cleaves, Dayna Boso, Tammy Ritchie, Sue Parks, Amber Bowlby and Geri Watts, the strike team deployed last night. Thank you to Christen Skaer and Jennifer Burns for their coordination efforts. 15:00 3/8/2017 – temporary animal shelter at Hutch Fairgrounds was demobilized and animals transferred with owner permission to the Hutch Animal Shelter for a few more days of boarding. Some horses still remain at the Hutchinson Fairgrounds, KS SART helped coordinate supplies and manage donations for those animals, working with the assigned veterinarian on scene. Update as of this morning, most horses have gone home. Expectation is remaining horses will go home Friday 3/10 and the temporary large animal shelter at the Hutch Fairgrounds will be demobilized. Expecting a final report Friday from assigned veterinarian on scene. Thank you again for your willingness to respond in this disaster. As you know, it will not be feasible for every responder volunteer to be available for every response. When you can respond please do, but remember the safety and needs of your family must come first. Volunteers helping people through animal disaster education, planning and response.